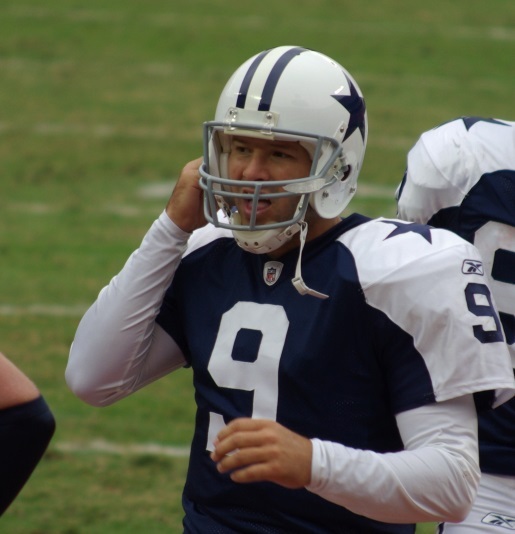 In 2006, an injury to Dallas Cowboys starting quarterback Drew Bledsoe opened the door for an undrafted free agent by the name of Tony Romo to take the helm of America’s Team and lead the Dallas Cowboys to an early playoff exit. Bledsoe went from starter to afterthought in a season. Now, the circle continues and the NFL has apparently chewed up and spat out another quarterback. Tony Romo is going to be released by the Dallas Cowboys. Romo, who has been a good regular season quarterback, never had much in the way of playoff success. He’s only won two games in the playoffs, in spite of his good regular season performances. The closest he’s gotten to the Super Bowl is via commercials. He’s also proven to be injury prone, particularly the last two seasons. After all, he’s broken his back on the field, broken his clavicle, injured his shoulder… Tony Romo is lucky to make it through a season standing, and after this latest season, in which Dak Prescott took over and impressed fans and team staff alike, the writing was on the wall. Romo, if he wants to continue to play, will find people interested in his services, perhaps as a backup, or maybe as a win-now option for a team like the Denver Broncos.